My name is Fiona Wray and I qualified as a homeopath in 2003 and a Bowen practitioner in 2014. I am based in Colchester, Essex, UK and at the time of this first post I am 56 years old. 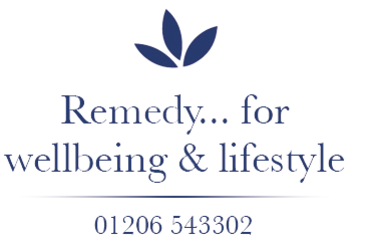 Over the past 14 years I have worked with several hundreds of people with a variety of health complaints and helped many of them fully recover or at least function at a significantly improved level of health. When my father died of stomach cancer in 1990 I became fascinated by food and the benefits of a nutritious, balanced diet and overall healthy lifestyle. That fascination continues to this day but I’m not a goody-goody, I don’t jump on the latest food fad bandwagons and I don’t believe that in terms of health ‘one size fits all’. I like to explore health issues, listen to what my clients have to say and engage with them to improve their wellbeing. This isn’t a blog about homeopathy (although I may mention it from time to time) and it isn’t a food blog (although food is something that I will mention frequently), it is a blog about aging to the best of your own ability whatever your health issues may be. I will write about food (and sometimes wine) and how to live well and healthily while eating a ‘normal diet’ – no easy feat in a world where we are bombarded by conflicting information – low fat, no fat, high fat, no grain, all protein etc etc etc, where does it end? I will write about how to keep your homes healthy and chemical free. How gardening even on the smallest of scales can for example increase your vitamin D levels. On why natural skincare is important to overall good health. In fact anything that can enhance you life as you age will be fair game. I will, where appropriate, comment on news articles, challenge information on TV documentaries, review books and recommend products. With the challenges facing an aging population, (most of whom want to live well and contribute to society), you are never too old or too young to learn to age well. Running a blog takes time and effort and I need to be fully open about how it will be financed. During 2018 I will be posting ‘affiliate links’ which will earn me a commission but this doesn’t mean that I will be going all out on a ‘sales offensive’. Homeopathy and Bowen Therapy are both disciplines based on a ‘less-is-more’ approach and that is very much my ethos. I strongly believe in purchasing only what you truly need and I will make it clear when I am linking to any product or service that will generate an income. That said, 25% of affiliate income will be donated to a health-related charity on a monthly basis and I will be detailing the recipients and amounts in dedicated blog posts. So please join me to help make 2018 the year where we all become healthier, happier and well enough informed so we can look forward to aging well.